Happy Kitchen Sink Stamps Monday! 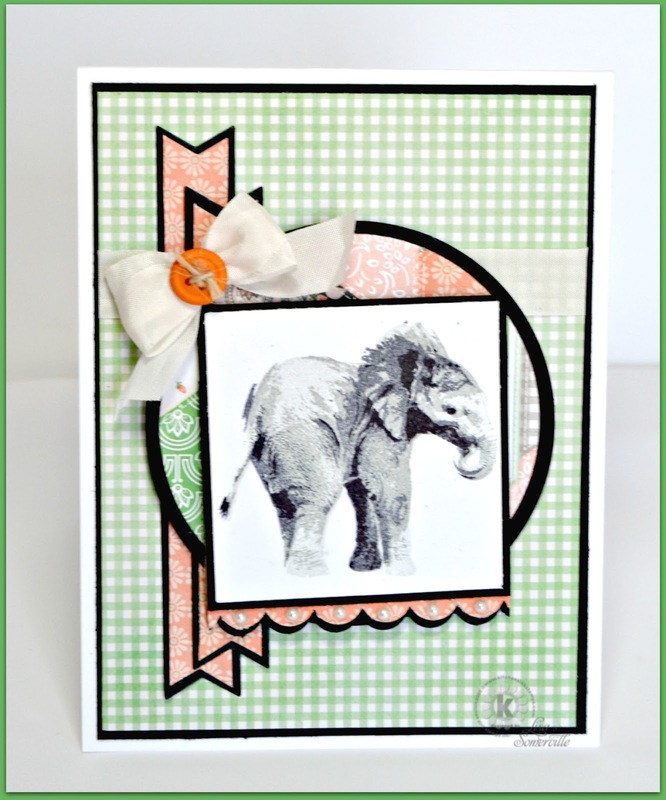 Inspired by this weeks Mojo Monday Sketch Challenge, I used My Bo Bunny pattern paper along with Kitchen Sink Stamps Multi Step 'Lil Elephant to create my clean and layered card. Cute, cute card! The layering in black really makes each element pop!